​LET AMC MOBILE FOCUS ON THE REST. Our experienced medical professionals have successfully performed over 1,400 procedures since 2009. 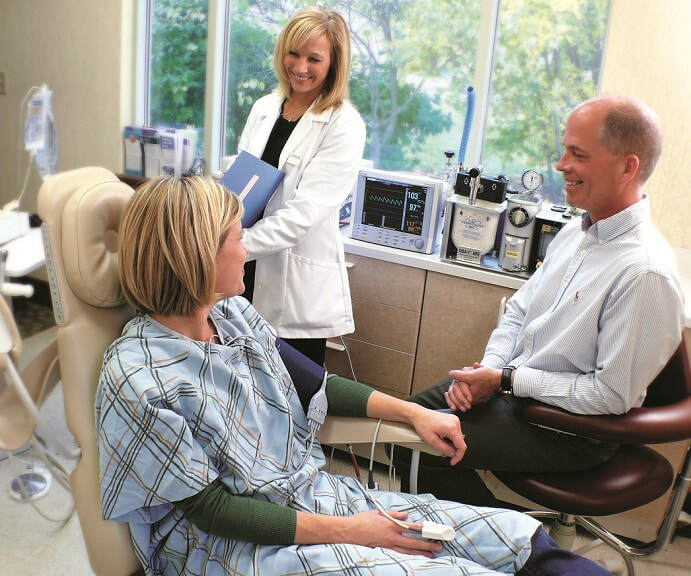 We take care of the anesthesia so physicians can focus on their area of expertise. Outsourcing anesthesiology needs through AMC Mobile reduces stress and anxiety for patients because our physicians minimize trauma, while providing the highest level of patient care possible. Anesthesia Medial Consultants, PC (AMC) began providing office-based anesthesia services in January 2008 in response to requests from local surgeons. In 2009, AMC decided to expand and achieve accreditation for this line of business. The goal: to provide quality office-based anesthesia by forming a wholly owned subsidiary with a limited number of providers conducting themselves in a manner consistent with the ASA standards of care for an office-based setting. Being recognized as a professional corporation under the laws in the State of Michigan, on May 10, 2010, AMC Mobile Anesthesia, PC was formed.